Choi Do Hyun (Lee Joon Ho) spent most of his childhood in a hospital due to chronic heart disease. After having a heart transplant, he got a second chance at life. However, he has to face a new crisis when his father is sentenced to death for murder. Having decided to prove that his father is innocent, he becomes a lawyer. 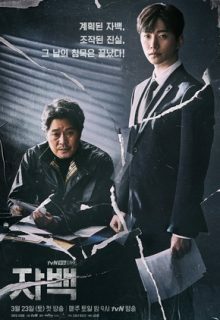 Ki Choon Ho (Yoo Jae Myung) was once the head of the investigation department, but after the murder suspect was acquitted, he quit his job. He is convinced that the murder suspect is guilty and continues to pursue him. Ha Yoo Ri (Shin Hyun Bin) is Choi Do Hyun’s best friend. Previously, she worked as a reporter, and now she is a beginner youtuber. She also helps her friend at a law office.